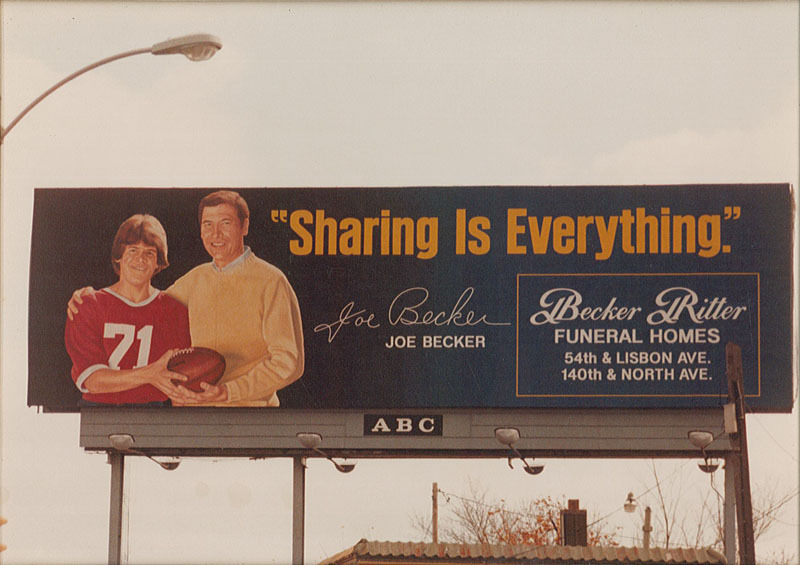 In 1903, Joseph Henry Becker began a tradition of helping others that lives on today. He started in the funeral profession with a carriage and horse-rental business around the turn of the century, which later became an ambulance company. 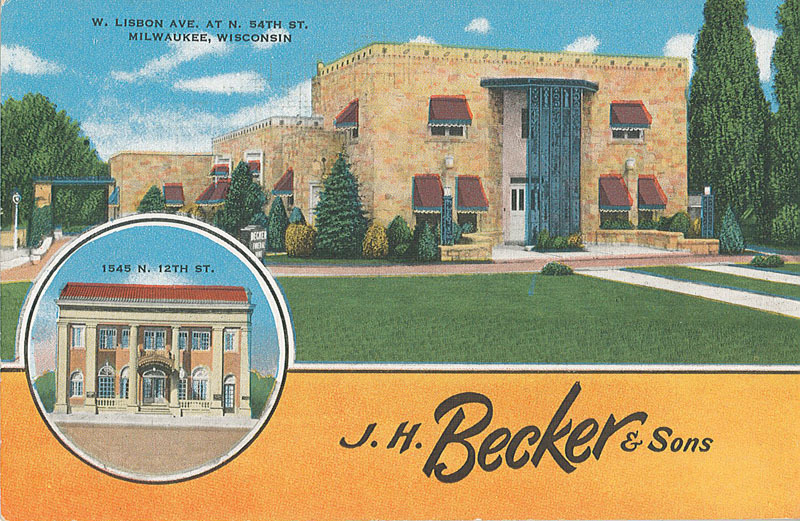 Becker then converted the house (pictured right - circa 1917) into a funeral home with living quarters for his family upstairs. 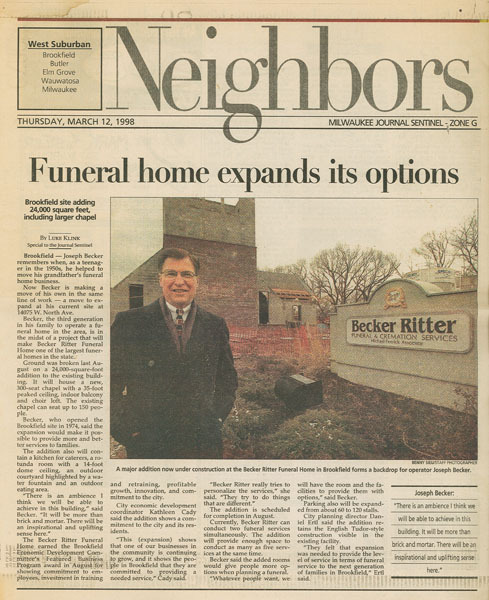 In the years ahead, Becker's funeral service grew enough for him to build a new facility that would set the standard for funeral business in the area. 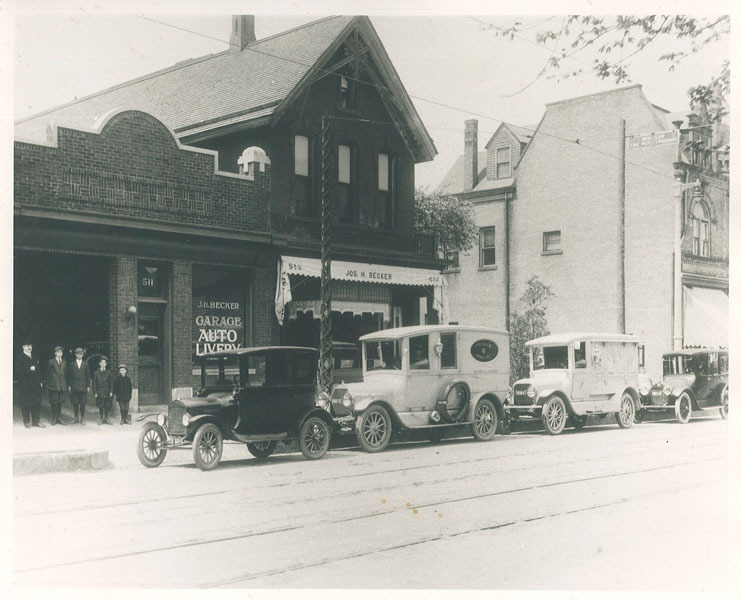 The lavish funeral home he established on 12th and Galena in Milwaukee (pictured right) would still be impressive by today's standards. 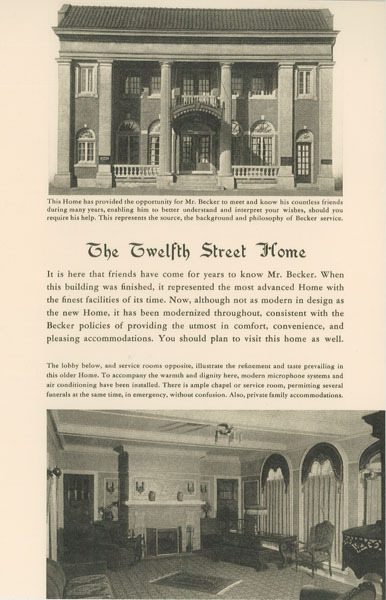 The excerpt below is from a 1930's Becker promotional booklet entitled "Life's Complement." This elegant verse describes the rich family tradition. "No two people live exactly alike. Each of us has separate goals and motives, distinct appreciations and appraisals, various moods and tastes. We each are a little different from one another, but at one time all mankind reaches absolute universality...the complement to a full life. When one passes on, anguish inevitably lingers for a time with those close who remain. However, solace is found more easily by those remaining if final tribute can be fulfilled suitably and appropriately. Each, in their own way, has contributed to happiness for others. Those contributions should be commemorative...so that they may inspire us who live…us who have the time to enjoy the privilege of helping others." 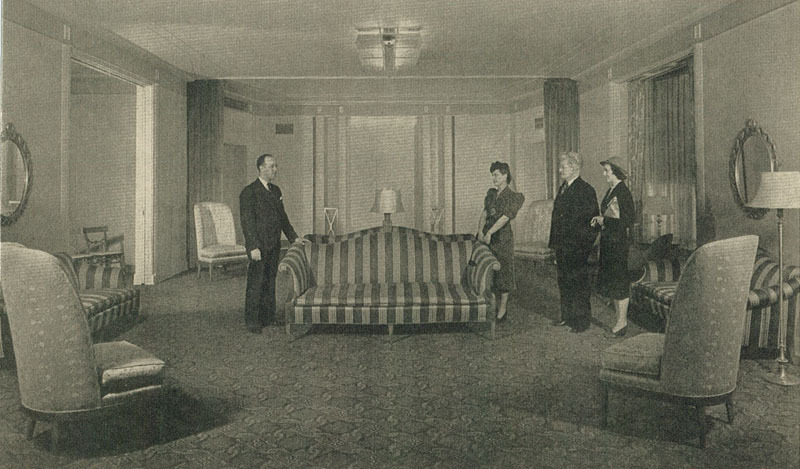 "The privilege of helping others," was an ideal that inspired Joseph and his sons Louis, Roy, and Joseph (left). 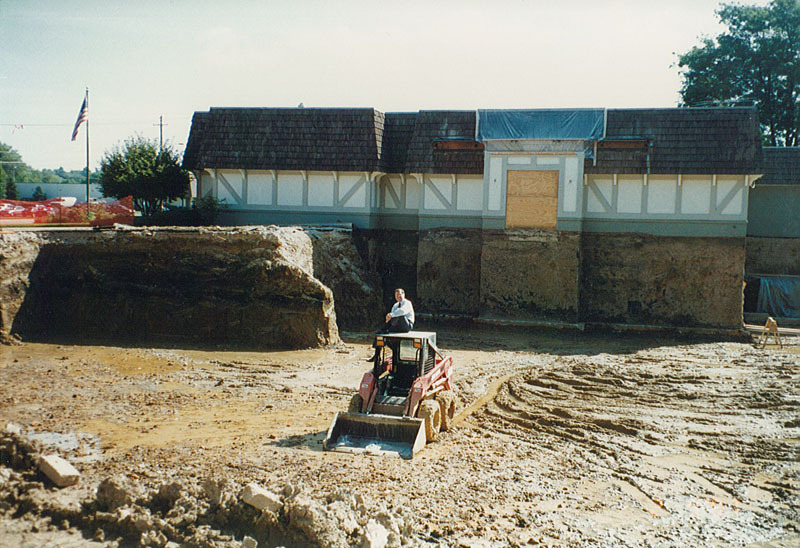 The brothers continued their father's commitment to excellence at the elegant funeral home on 54th and Lisbon (right). 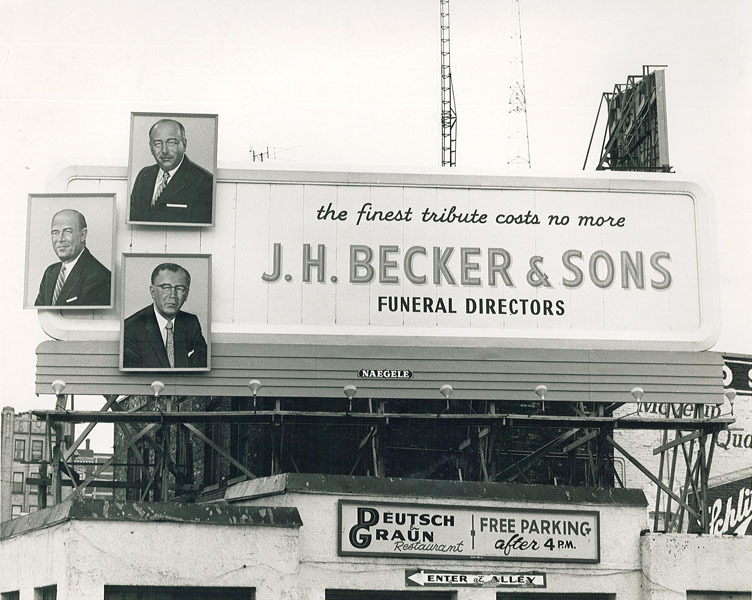 Their dedication helped make the Becker name synonymous with the funeral profession in Greater Milwaukee. 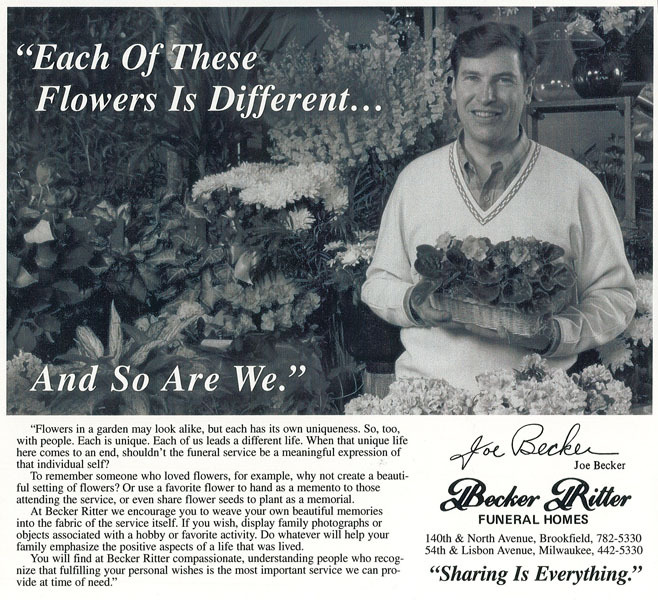 In the 1970s Bob Ritter joined the business, hence the "Becker Ritter" name. Subsequently, Michael Feerick became an associate. 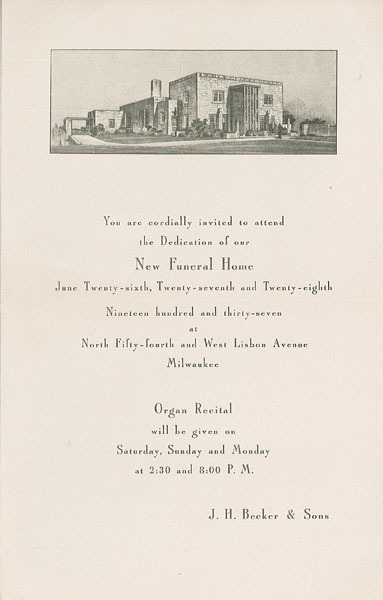 Michael's family tradition in the funeral profession also dates back to the 1800s, as does the Ritter tradition in funeral service. 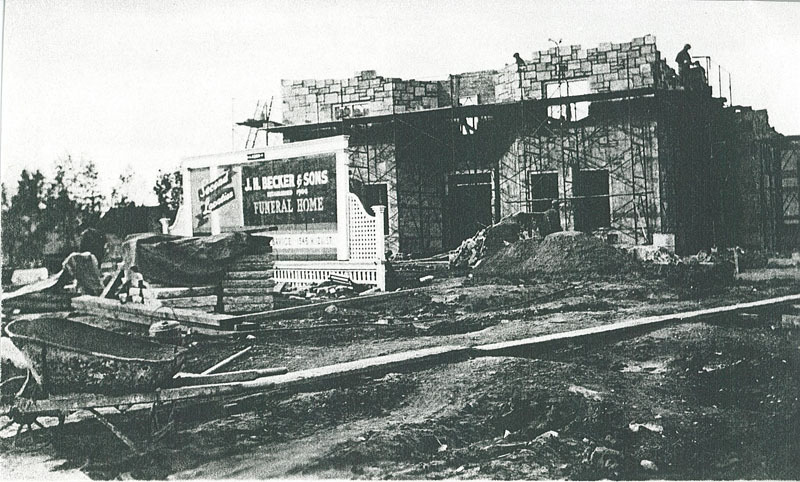 The third generation, with Joseph J. Becker as president, was responsible for constructing a beautiful new funeral home on the corner of Lilly Road (140th) and North Avenue in Brookfield. 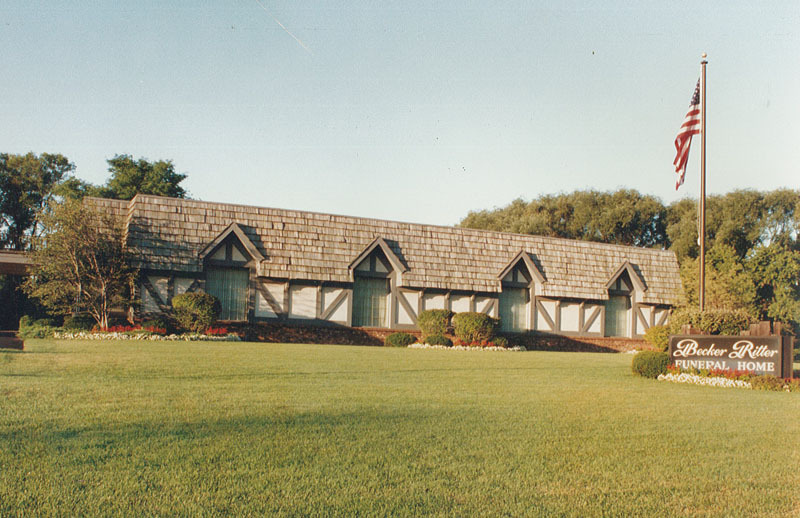 This location and elegantly appointed funeral home is the finest facility serving the Metropolitan Milwaukee area. The present generation can say they have raised the standard of service excellence since they have been awarded the prestigious "Pursuit of Excellence" award from the National Funeral Directors Association. 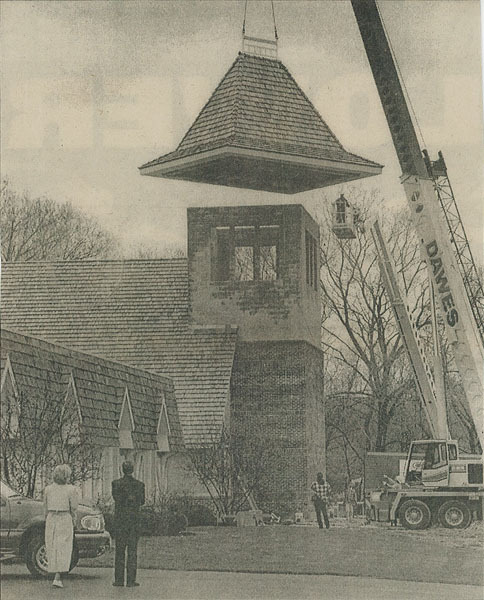 In 1999, Joe and Kathy Becker tripled the size of the existing funeral home in Brookfield, adding a Tower Chapel and Dining facility. Joseph Henry Becker would be proud of today's Becker Ritter, because his heirs have continued his pursuit of excellence and have remained dedicated to the ideal that it is truly a privilege to help others. Please click on an image below to view larger photos and to enter the slideshow.